Jeffrey S. Merrifield is a partner with Pillsbury Winthrop Shaw Pittman LLP in Washington, DC. 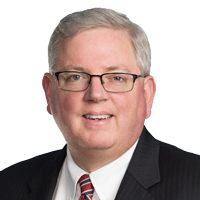 His practice focuses on advanced nuclear reactors, physical security at operating nuclear reactors and counseling to executives and boards of directors. A former Commissioner of the U.S. Nuclear Regulatory Commission (1998-2007), legal counsel on the U.S. Senate Environment and Public Works Committee and Senior Executive for one of the largest providers of engineering and constructions services in the energy industry, Mr. Merrifield is uniquely qualified to advise senior energy managers on regulatory and legislative matters. Currently, he is the legal advisor to two leading Advanced Reactor developers and as a recognized expert on these issues, Mr. Merrifield was asked to testify on the development of Advanced Reactors before the U.S. Senate and U.S. House in the spring of 2016. Mr. Merrifield is also advising a group of nuclear utilities on addressing the complex issues associated with meeting the physical security requirements imposed by the Nuclear Regulatory Commission. Finally, Mr. Merrifield is advising a public utility board of directors on a complicated independent investigation regarding allegations made against the senior executives of the company.